Canine Companions for Independence®, the non-profit that matches people with disabilities with expertly-trained assistance dogs, has appointed a new chief executive officer, Paige Mazzoni. Paige brings more than 25 years of professional experience, concentrated in corporate strategy and management, strategic initiative development and marketing implementation, including directing product and company positioning at several high-tech companies. Most recently, Paige was the Chief Marketing Officer at VIP Petcare. Paige has also served on the executive committee of several non-profit fundraising boards, including the Buck Cardinal Board at Stanford University, her alma mater. 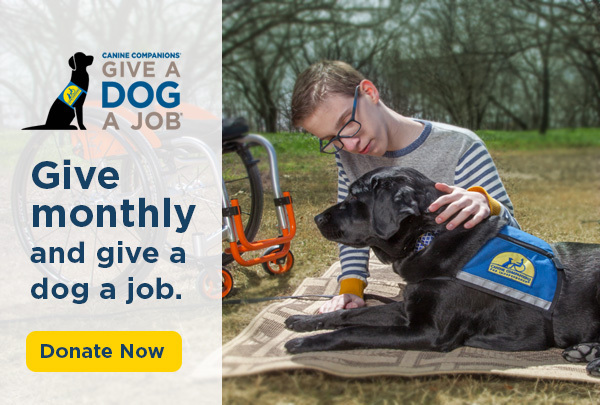 Canine Companions has matched assistance dogs with nearly 6,000 veterans, children and adults with disabilities and was the first non-profit assistance dog organization to help people with physical disabilities. Founded in Santa Rosa, CA in 1975, it is by far the largest assistance dog organization with six comprehensive training centers across the country. World renowned for the quality and longevity, Canine Companions assistance dogs are trained in over 40 commands to enhance independence. Each assistance dog, along with a lifetime of ongoing follow-up support, is provided entirely free of charge to recipients. 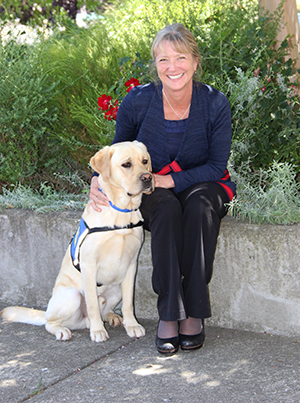 As CEO, Paige will oversee Canine Companions’ national operations and over 225 employees. The non-profit benefits from over 3,000 dedicated volunteers and partners to help deliver the mission of free assistance dogs.